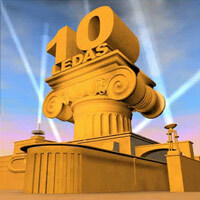 Novosibirsk, Russia, April 1, 2009 – LEDAS Ltd., an independent provider of computational components and software development services for the CAD/PLM (Computer-Aided Design and Product Lifecycle Management) market, today celebrates its tenth anniversary. A decade ago, LEDAS was founded by former academic researchers of the Russian Research Institute of Artificial Intelligence to provide services in the field of science-intensive custom software development. Today, the company's portfolio includes both computational software components for CAD developers and end-user plugins for popular CAD systems. With its famous isicad project, LEDAS has become a leading CAD/PLM competence center in Russia. LEDAS customers highly appreciate the quality of service that includes software development, parametric 3D modeling, CAD/PLM software localization for the Russian market, training and consulting. Many start-up companies receive the world-class services from LEDAS at adequate prices. On the other hand, since 1999 LEDAS has been continuously involved in developing core software components for one of the world leaders in 3D and PLM solutions. LEDAS’ recent initiative with launching a series of end-user CAD plugins called Driving Dimensions has been extremely successful. During four months of beta-testing more than 5,000 users of Google SketchUp (a popular 3D modeling program that lacks parametrization) downloaded the Driving Dimensions plugin. In three weeks after releasing version 1.0 of this plugin, its user base has reached 1,000. Please visit http://DrivingDimensions.com for more information. "We see significant interest in the CAD community to our plans for developing similar plugins for Rhinoceros 3D and DWG-based software”, said Dmitry Ushakov, Director of Product Management at LEDAS. “Our technological component LGS that is fundamental for the Driving Dimensions product line is also used by the world leading software development companies in the fields of CAD, CAM and CAE. Our current strategy is to provide Variational Direct Modeling technology for all developers." To learn more about LGS please visit http://ledas.com/products/lgs3d. The white paper “Variational Direct Modeling: How to Keep Design Intent in History-Free CAD” is freely available at http://ledas.com/group/white_papers/. An important part of LEDAS’ business is the isicad project aimed at organizing events to support development of the Russian PLM market. It resulted in three successful PLM forums held in Novosibirsk in 2004, 2006 and 2008 with broad participation of all main vendors in the fields of CAD, PLM and ERP. In 2008 LEDAS, in cooperation with the leading vendors, published the first ever “PLM Encyclopedia” presenting core information about CAD/PLM terminology, solutions, vendors, and analytics for the Russian readers. A part of the English glossary used for the Encyclopedia is published at http://PLMpedia.org. In 2009 LEDAS launched the web portal Isicad.Net “From Russia with PLM” to facilitate development and distribution of advanced PLM and contiguous technologies. Isicad.Net informs about the most noticeable events associated with PLM and covers important PLM-related news. Please visit http://isicad.net for more information. LEDAS Ltd. is an independent software development company founded in 1999; it is based in Novosibirsk Scientific Centre (Akademgorodok), Siberian Branch of the Russian Academy of Science. A leader in constraint-based technologies, LEDAS is a well-known provider of computational software components for PLM (Product Lifecycle Management) solutions: geometric constraint solvers for CAD/CAM/CAE, optimization engines for Project Management, Work Scheduling and Meeting Planning as well as interval technologies for Knowledge-Based Engineering and Collaborative Design. The company also provides services for PLM market: software development, consulting, reselling as well as education and training. More information about LEDAS is available at http://www.ledas.com.